A 2015 study by The Washington Post estimated that there are 527 million native speakers of the English language in the world, putting it third behind Chinese and Hindi-Urdu. However, the same study said that there are 1.5 billion people who are learning English as a foreign language around the world, with French at a very far second with 82 million students. That’s a large reason why English tutoring firms have become a big hit around the world, and why the Philippines, where English is widely spoken, has become a major source of tutors. A 2012 article by BBC News dubbed the country as “the world’s budget English teacher,” where it cited how several educational institutions in the country are offering English language lessons at very low rates compared to other countries. A local startup that is turning the Philippines’ unique situation into a business opportunity is Learntalk, an online platform for English tutors. Established in 2016, it charges as low as $4.50 per lesson, but promises comparable quality to physical tutoring firms that have much steeper tuition fees. It is able to do this through its suite of 400 lesson plans and 150 grammar lessons, which the team developed following the standards of more expensive institutions—ones “where people are paying consistently $450 an hour,” according to Luccini. Each 25-minute lesson on Learntalk’s platform doesn’t directly explain concepts, but rather allows a student to naturally understand a concept through direct conversations and practical examples. Its unique business model has garnered it attention globally, with Learntalk having been featured in several publications worldwide. Locally, it was one of the 20 startups selected to pitch in the Ring of Fire competition at the Techtonic Summit in June 2018. 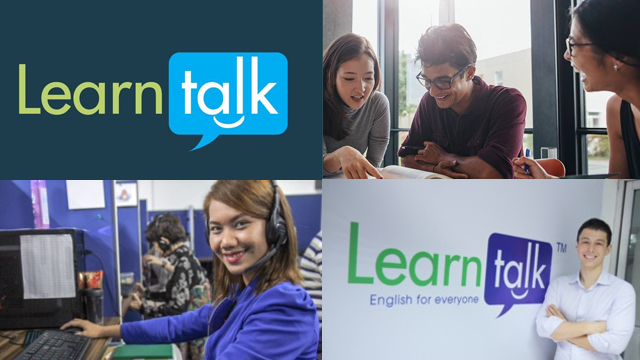 Learntalk’s intensive but affordable lessons seem to be a hit, as it has over 2,000 students based in various countries across Europe, South America and Southeast Asia. The learners range from individuals who want to learn English on their own to businesses that aim to upskill their employees. Luccini also said that his company has partnered with six schools globally, providing digital English tutorials to the students. On the other side of the webcam are around 100 tutors with varying levels of experience. Many of them come from the Philippines, but one can also find tutors from South Africa, Nigeria, Serbia and other countries around the world. Unlike a majority of English tutoring institutions, applicants are not required to have formal teaching experience to become a Learntalk tutor. The lowest teaching level, Language Tutors, only need to have the proper equipment—stable internet, a PC, a headset and a webcam—as well as to reach a certain level in Learntalk’s grammar test. As such, anyone can sign up to be a Learntalk language tutor and earn an extra $4-5 per hour of teaching. Those with more teaching experience and proper certification can be assigned to higher-paying brackets. Experienced Instructors earn between $8 and $10 per hour, while Professional Teachers have hourly rates ranging from $12 to $15. While becoming a Learntalk tutor can be simply seen as another way to earn extra income, Luccini sees his startup as part of the movement to bring global, high-quality education online. And with 1.5 billion other English language learners around the world, tutors are in a prime position to take advantage of the ongoing digital shift.